Low-level laser therapy (LLLT), a form of phototherapy, is a non-surgical treatment option for stabilization of hair loss. Clinical studies demonstrate that LLLT halts the progression of hair loss, stimulates hair growth, resulting in thicker, stronger hair shafts, and promotes re-growth in many. 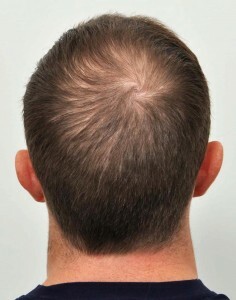 It is an important part of medical therapy for those patients who are not candidates for surgery, or for men and women with thinning hair or hair loss. LLLT can be used alongside topical solutions, prescription medication, and even hair transplants. Dr. Anderson recommends this therapy to his patients for additional stimulation after a hair surgery as a way to provide maintenance to the transplanted hair, to strengthen and help speed up the re-growth of transplanted follicles. First used in the 1960s for the treatment of various medical conditions in numerous medical fields, low-level laser therapy has recently added hair restoration to its claim to fame. Within the past decade, phototherapy (light therapy used to advance the healing process) has gained acceptance by hair restoration surgeons for the treatment of hair loss. When it comes temporary or permanent treatments, it is imperative to keep your expectations realistic. Laser therapy is not a cure for baldness and will only work as long as it is used according to instructions during the treatment period. 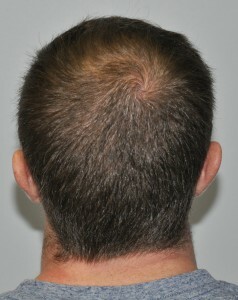 Once laser therapy stops, so does the reality of stopping further progression of hair loss. It is important to keep in mind LLLT will be most effective in persons with minimal to moderate hair loss, and less effective with major hair loss. With any hair growth treatment, it is normal for users to have an initial period of hair shedding before they can begin to see any results. Shedding is a sign that the treatment is working. *While some patients will show an increase in hair thickness and growth in as early as 3 months using LLLT just 3 times a week, we recommend using the laser cap for a minimum of 6 months. Other patients have demonstrated a dramatic increase in strength, fullness and re-growth of their hair after 1 year of using this product. Keep in mind, responses to LLLT are somewhat unpredictable and results will vary from person to person. 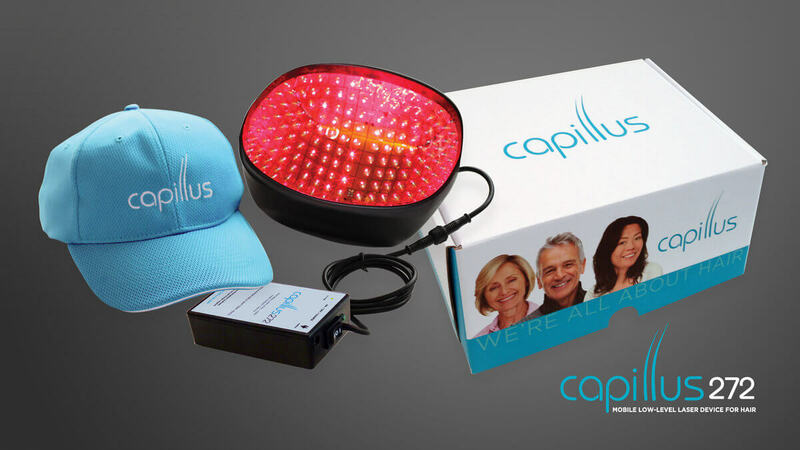 The Capillus272™ is a full-coverage laser cap containing 272 diode lasers (more than 20 times the laser comb). These diodes are embedded in a polymer membrane “cap” that fits inside any baseball cap, making it discreet. The laser red light has been shown to be effective in stimulating energizing within the cells of the hair follicle. Dr. Anderson has done extensive research on laser light therapy and believes the Capillus272 laser cap device is a cost-effective, long-term treatment that offers his patients the most effective, convenient, and simple method of LLLT. Convenient– The laser cap device is compact and comes in its own portable travel case for maximum convenience, so there’s no need to drive to your local clinic to receive treatments. Simply wear the device every other day for 30 minutes while watching TV, working on the computer, driving in the car, or even exercising. It is quiet, creates no mess to clean up, and is easy to fit into your busy schedule. Cool– It is important to note that heat is not associated with the photochemical and photo therapeutic effects of LLLT. While there are visible red wavelengths and low wattage associated with LLLT, it is a “cool light” laser, and produces no sensation on the skin when undergoing treatment. Compact– No large, in-office machines are needed at home taking up space. The Capillus272® lasers hide completely inside of a baseball cap, so they’re completely concealed and hidden from others. Cost Effective– Prices to produce laser light devices has decreased over the past 15 years, and a more convenient, desirable approach has moved into the market. Purchase an at-home laser light therapy device for about the same cost as just 1 year of in-office treatments. Save your gas money, and yearly visits to and from the clinic, and own this device for life! Complete– The Capillus272® covers the entire scalp all at once, and offers 272 true diode lasers, which is more than almost any in-office device you can find. You are getting the strength that parallels or exceeds in-office machines to use at-home. There are no side effects, and the treatment is completely painless and non-invasive! Contact us to get your Capillus272 Laser Cap! Don’t let your hair loss get the best of you. We offer several advanced treatment options, such as the Capillus272 Laser Cap, than can help restore your hair as well as your confidence. Contact us to schedule a consultation to learn more.